Microsoft Dynamics is a line of Enterprise Resource Planning (ERP), Customer Relationship Management (CRM) and other cloud applications.To comprehend the evolution of Microsoft Dynamics since 2001 and especially its ERP line, Dynamics 365, here is a brief history, starting with Microsoft’s acquisitions for NAV and AX, with their respective name changes to Dynamics 365 (D365) Business Central (BC) and Dynamics 365 (D365) Finance and Operations (F&O), and finally its strategy towards the cloud. The Microsoft Business Solutions ERP line began when Microsoft acquired Great Plains in 2001. The ERP vision expanded with the acquisition of Navision in 2002, a multi-language, multi-currency, business management solution for mid-sized businesses to manage their financials, supply chain, and people. The Microsoft Business Solutions ERP product line for small and midmarket businesses in 2002 included Great Plains, Microsoft bCentral (TM) and Navision a/s. In 2001, Microsoft also had separate ERP products under Microsoft bCentral (TM) and Microsoft Small Business Financials (formerly Microsoft Small Business Manager) geared towards small businesses to compete with QuickBooks. In 2004, Microsoft shelved the bCentral brand and redirected users to its own well-known brand name, Microsoft. Then in October 2008, Microsoft also discontinued Small Business Financials and provided a highly discounted migration path to Dynamics GP. In 2006, Microsoft Business Solutions became Microsoft Dynamics, and their ERP acquisitions received new branding: Microsoft Navision renamed to Microsoft Business Central and Great Plains renamed to Dynamics GP. Axapata eventually became Dynamics Finance and Operations after Microsoft completed their ERP range with the purchase of it in 2009, an ERP designed to facilitate companies, large organizations, and holding structures. With these acquisitions, Microsoft gained over 100,000 businesses around the world who were on Navision, and over 20,000 organizations utilizing Axapta. Through these acquisitions, Microsoft Dynamics became a major ERP solution provider, serving small to large enterprises, able to manage resources and processes connected to manufacturing, planning, supply chain, sales, financials and more. Cloud computing enables consumers and businesses to use applications without installation and access to files at any computer with internet access anytime. Software as a service (SaaS) is the largest segment of the cloud market, with revenues expected to grow 17.8 percent to reach $85.1 billion in 2019 according to the world’s leading research company, Gartner. For Microsoft Dynamics, the shift towards cloud-based solutions was to stay competitive with its main competitors in CRM, such as Salesforce and main competitors in ERP, including Netsuite. To compete as a better solution, Microsoft Dynamics has been transitioning from an on-premise to cloud-based and hybrid solutions to meet this strategy since 2016, and into the future with the rebranding to Microsoft Dynamics 365. Dynamics AX rebranding started as Dynamics 365 for Operations in November 2016 and then it got renamed again in July 2017 to Microsoft Dynamics 365 for Finance and Operations, which is the current brand. Microsoft Dynamics 365 for Finance and Operations is the new flagship Microsoft ERP system for medium to large organizations (target +250 organization size). Today, D365 Finance and Operations integrates with field service, project service automation, retail, sales, talent, and customer service; it enables multiple disconnected systems to become one. Boost efficiency with automated tasks and workflows—all from Office tools like Outlook, Word, and Excel. Download Microsoft Dynamics 365 Finance and Operations Functionality. As a key part of the Microsoft Dynamics 365 transition, Dynamics NAV was rebranded to Microsoft Dynamics 365 Business Central in 2017 when Microsoft moved Dynamics NAV to the cloud. The Dynamics NAV on-premise product was still available. Dynamics NAV was an ERP for small and mid-sized businesses (target 50 to 250 organization size). The spring 2018 release was the last version carrying the Dynamics NAV name; now both on-cloud and on-premise versions are Dynamics 365 Business Central. Today, Dynamics 365 Business Central is a multi-language and multi-currency solutions, connecting financials, sales, service, and operations to streamline business processes, improve customer interactions, and make better decisions. It combines multiple systems into a single and connected application—all from Office tools such as Outlook, Word and Excel. Download Microsoft Dynamics 365 Business Central Functionality. Microsoft Dynamics has recently moved beyond ERP and CRM to become an application platform for business processes with its 2016 acquisition of the professional networking site LinkedIn for around $26.2 billion, finalized shortly after Dynamics 365 went live. This meant Microsoft CRM solution became integrated into one of the largest online communities, with access to LinkedIn’s 500 million business users. According to LinkedIn, its InMail response rate is 300% higher than a regular email, as people are more willing to respond to a LinkedIn InMail than traditional email. The trend beyond ERP and CRM continued with Dynamics 365 natively integrating with other tools such as Power BI, Cortana digital assistant, Microsoft Flow and PowerApps. Microsoft has expanded Dynamics 365’s deployment options, giving users the choice to use the suite in the cloud – hosted on Azure, Microsoft’s web services platform, on-premise called Local Business Data by Microsoft, or a hybrid deployment known as Cloud and Edge. Microsoft Dynamics has continued to move from developing ERP and CRM to focusing on creating services to benefit all Microsoft products. Other CRM and ERP providers including Salesforce.com CRM and Oracle ORCL, among others are striving to enhance their portfolio by integrating their offerings with AI too. 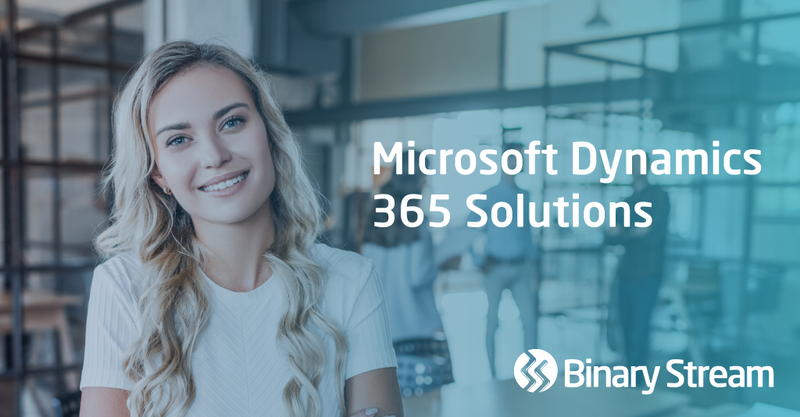 Microsoft has integrated D365 with robust artificial intelligence (AI) applications to introduce Dynamics 365 AI for Sales, Customer Service and Market Insights. In September 2018, Microsoft announced its presence in the Mixed Reality (MR) space with the introduction of Dynamics 365 Remote Assist and Dynamics 365 Layout. This move is in-sync with its bid to strengthen Dynamics offering with HoloLens MR Glasses. Microsoft Dynamics 365 now has added innovative MR techniques with HoloLens MR Glasses. With Dynamics 365 Remote Assist, users can connect and collaborate using hands-free video calling, mixed reality annotations, and file sharing of images and PDFs. HoloLens enables customers to call an expert using Microsoft Teams and share their screen on HoloLens to solve their D365 issues in real-time. Although Microsoft Dynamics 365 provides core financial functionality, Independent Software Vendors (ISV’s) products are required if there is a process that could be done better or faster with an ISV’s solution or module, including subscription billings. Add-ons for Microsoft Dynamics 365 Business Central are available on Microsoft AppSource, an app store for Microsoft business applications. Microsoft AppSource combines a number of separate market places together and is accessible either by going to the AppSource.com website for Azure cloud based offerings or direct from Office 365, Power BI or Dynamics 365. One example of a Microsoft Dynamics ISV solution is Binary Stream’s Subscription Billing Suite (SBS), which provides insightful financial data and is GAAP compliance. By reducing the invoicing cycle from days to hours, it can streamline an entire accounting system. Plus, it can be easily extended to cover the entire quote-to-cash process. Since 2001, Binary Stream has been an award-winning, Microsoft Gold certified partner that develops enterprise-grade, add-on software to enhance Microsoft Dynamics GP, Dynamics 365 for Finance and Operations and Dynamics 365 Business Central.